Infectious diseases such as polio, malaria, and guinea worm disease cause suffering and death worldwide each year. Yet, with a concerted effort, it might be possible for humans to eradicate some infectious disease. What is the eradication of infectious disease? It means the disease is eliminated worldwide and there are no more cases anywhere. So far in human history, we have set out and succeeded in eradicating two diseases. In 1979, the world saw the last natural case of smallpox. This last case was in a man in Somalia, who had the mild form of the virus (V. minor), which kills only 1% or fewer of those who contract it. The last natural case of the more serious disease (V. major, which kills some 30% of its victims) was a toddler in Bangladesh in 1975. Smallpox, an airborne disease, was stopped because 1) there was a vaccine, 2) the disease was easily recognizable, 3) animals didn't carry the disease (which might have been difficult to track), and 4) the disease was so horrible there was universal agreement to commit resources to stop it. Smallpox eradication was accomplished through a large vaccination program. 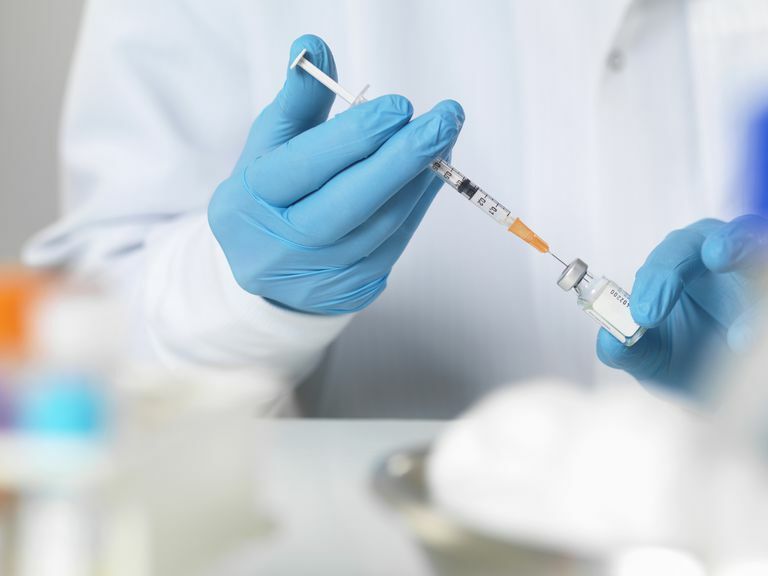 Health organizations carried out vaccination programs readying countries for smallpox and responding to and encircling with vaccination any cases that had occurred. There are stockpiles of smallpox that were stored in the US and the then-Soviet Union (now Russia). One lab accident in 1978 infected a visiting photographer, who died and also infected her mother, who survived. These were actually the last cases of the more serious form of the disease. In 2011, the world was finally free of another disease: rinderpest. It's a disease of cattle (buffalo, deer, antelope, giraffes, and other animals). Rinderpest used to be the bane of cattle farmers and was considered a possible candidate for bioterrorism since people rely on these cattle for nutrition. Here are nine infectious diseases that humans could eliminate. Polio can be stopped through vaccination. The virus spreads primarily through water contaminated by sewage without adequate sanitation. Up to 95% of infections are unrecognized because they have few or no symptoms. In fact, most infections (72%) have no symptoms at all, while others (25%) have flu-like symptoms, such as nausea, vomiting, diarrhea, fever, sore throat, and general fatigue. However, in 4% of polio cases, the disease infects the membranes surrounding the brain and spinal cord, and in 0.5% of cases, the person suffers some paralysis, usually in the legs, but sometimes in the diaphragm or the face. Most people survive, but of those who become paralyzed, about 2% to 5% of children and 15% to 30% of adults die from the disease. Because many polio cases cause no real symptoms and water can spread the disease, it's harder to know when polio is gone. Two of the three main strains may already have been eradicated: Type 2 was last seen in 1999 in India, and Type 3 hasn't been seen since November 2012. Some 80% of the world's population lives in areas that are free of polio, and wild poliovirus appears to be circulating in only three countries: Afghanistan, Nigeria, and Pakistan. Vaccination could eradicate this disease. This condition, which involves infestation with worms, doesn't usually cause death but causes much disability from bacterial infections and pain. It's caused by worm larvae that live in unsanitary drinking water, and people acquire it by drinking that water. About one year after drinking the contaminated water, the infected person suffers from a painful skin blister caused by the worm, usually on the leg or foot. The disease spreads when that person steps into a waterway with an infected leg. Therefore, guinea worm disease can be prevented by keeping drinking water clean and by keeping infected people out of waterways. This is an infection caused by a spirochete bacteria, Treponema palladium pertenue, related to syphilis (and Bejel and Pinta) that affects skin, as well as bones and joints. Yaws can be treated and eventually eradicated with one dose of an oral antibiotic. A campaign of mass antibiotic treatment almost eradicated the disease in the 1950s and 1960s. Today, the disease is found in 14 countries with warm climates, and there is work to stop it with antibiotics. Malaria, an extremely common disease, can be prevented by stopping the mosquitoes that spread the malaria parasite. The disease affects many each year, causing about 207 million cases and 627,000 deaths. The mosquitoes have been stopped through insecticides, bed nets, bacteria infecting the mosquitoes, and sterilizing mosquitoes. Infection from hookworm, which lives in areas with poor sanitation and enters through the soles of people's feet, could be halted with indoor toilets and shoes. In the early 1900s, hookworm was common in the southern U.S., but indoor plumbing and better overall sanitation halted its spread. Still, some 500 to 700 million people worldwide still carry hookworms. This can be treated by giving everyone a medication for prevention once a year, and, as in malaria, by stopping mosquitoes. The disease is caused by a thin worm spread by mosquitoes (many different types, but mostly mosquitoes known as anopheles in the Western hemisphere). The worm travels and clogs the lymph system of an infected person. This causes swollen legs or testicles (elephantiasis) and difficulty fighting some infections as the lymph system is part of the immune system. Since 2012, in 56 countries, there has been mass treatment with two drugs given once a year to prevent the disease. 13 of these countries do not have any known current transmission now, but 120 million are infected and 40 million are disfigured worldwide. Measles can be stopped with vaccination. The virus causes a rash, fever, as well as sometimes pneumonia and encephalitis (inflammation of the brain). It is airborne and has one of the highest rates of infection. One person can infect 15 others. Most cases resolve, but in the US 0.2% of infections lead to death and 6% lead to pneumonia. Cases had dropped after the vaccine was licensed in 1963, but there was a resurgence in the 1990s. Low rates of vaccination have led to this increase in cases, and deaths, in the U.S. The disease has been spread by travel, including an outbreak in the Philippines as well as from the U.K. and other parts of Europe. This can be stopped by including the rubella vaccine with the measles vaccination. It is also a respiratory-associated virus and causes a rash, fever, swollen glands, and joint aches. Those most seriously affected are infants of mothers infected during pregnancy. Congenital rubella causes possible heart, liver, spleen, and brain damage, as well as deafness and cataracts. It has been eliminated from the U.S. and from everywhere in the Americas. Onchocerciasis is the second-most common cause of blindness worldwide. It can be stopped by mass treatment of those in affected areas. Blackflies that live near streams and rivers can transmit the worm, Onchocerca volvulus, to people in these areas. These worms once inside someone can produce thousands of baby worms that spread to someone's eyes and skin causing blindness (and skin problems). There are diseases that we are actually close to stopping. They're easy to diagnose and terrible enough that we want to expend the effort to spot them. They also have a straightforward means of prevention, including vaccine, sanitation, and medications. Most also are only found in humans, avoiding the need to search for wild animals that are also infected. Russell CD. Eradicating Infectious Disease: Can We and Should We? Frontiers in Immunology. 2011; 2: 53.